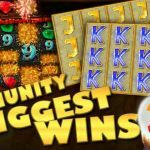 Tuesday is here and with it Casino Streamers Biggest Wins – Week 3 of 2018. Therefore in this cold weather let us warm you with some hot slot wins from your favorite casino streamers. Like always we have a small review for each particular big slot win to go along with every hit. All the video slot wins come from the 16th until the 21st of January 2018. Finally, if you want to try any of these slot machines, you can play them, for real money, on any online casino on our trusted casino list. 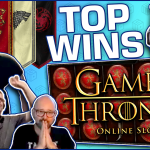 Today we start Casino Streamers Biggest Wins – Week 3 of 2018 with a big one. Specifically with Slotspinner’s mega win on the Frutmania slot. The casino streamer was playing his trademark €25 spins on Dunder casino when he hit a line of the best symbol. This is an extreme hit, as the game is a Gamomat 4 line slot machine, which makes it super volatile. It is not the first time the German streamer gets lucky on these types of slots, but this was the biggest win by far. How big? - Well a staggering €12500 win. Without a doubt Slotspinner is the luckiest slot streamer of the new year. 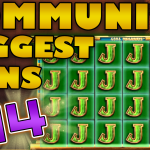 The Reactoonz slot keeps paying casino streamers, and this time it was NickSlots who won big. The Brit was playing the game on £7 bets at Rizk casino when he released the monster Gargatoon. Personally i am not a fan of this video slot, however watching Nick win £2363 on it, makes me reconsider. Talking about slots that are paying multiple casino streamers. - We have Queen of Riches. This time it was Shirox who won big on the casino game, playing €4 bets on Casumo. It is interesting how the best wins on this particular slot machine come from non-premium symbols. In Shirox case it was the 9s which covered the full screen for a super mega €1458 win. Slotplayer is back with a win on the most popular Novomatic slot machine. We are talking of course about Captain Venture. The slot streamer was playing the game on £1 bets at Videoslots casino when he triggered the free spins. Here there are only two roots the captain can take. First is to give a very bad bonus with almost no hits. Or to give re-triggers and make you win huge. Luckily for our slot streamer the second occurred and the 44 free spins resulted in a £470 total win. Good times. 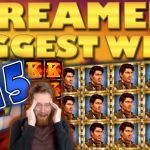 To conclude Casino Streamers Biggest Wins – Week 3 of 2018 we have a max bet and an unreal win. Jarttuslot was playing huge €100 bets on Golden Ark at OVO casino when he got the free spins feature. Hence with that big of a bet every bonus will be good. However our streamer went one step further getting an awesome bonus round and winning a super mega €53500 total win. 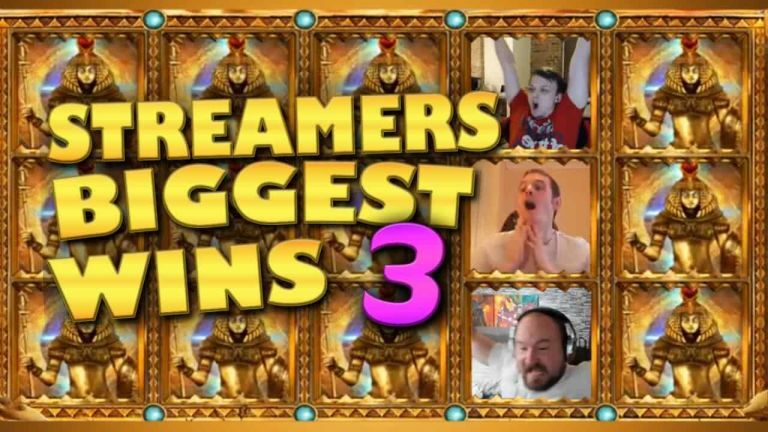 Tell us which win on Casino Streamers Biggest Wins – Week 3 of 2018 was your favorite. Share your thoughts in the comments. Also make sure to check our other videos on CasinoGround’s YouTube channel.